Meet Kitty and Tim. 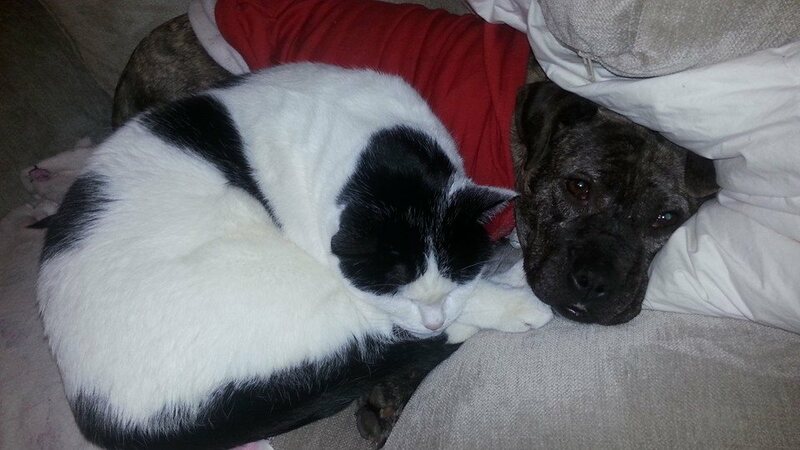 Maybe this rescued pitbull Kitty doesn’t need a sweater with her brother, Tim the cat, keeping her warm. This cat and dog get along just fine.